This is a moving and haunting novel, so well researched and described, with two unforgettable main characters. It will likely be one of those gems that many individuals and book clubs will be talking about. It is going to make an incredible movie one day. This is not just another WW 2 story, it has an original quality that sets it apart. Marie-Laure is a blind girl in France whose father has built a replica of their neighbourhood in miniature so that she can learn to navigate it. Her father is a locksmith and he crafts the houses in the model so that they are detachable and can be manipulated like a puzzle to reveal a secret inner compartment. Werner is a small blonde German orphan with an exceptional talent in small mechanics–his specialty is radios. Because it is the time of World War 2, his skills land him a place in the Hitler Youth. He is young and naive but soon realizes what is really happening with the Third Reich and he begins to make choices of his own, at his own peril. Both of these children hold a priceless treasure in their hands. Will it be found or lost forever? Will it bring fortune or failure? The story takes place mostly in the ancient walled city of Saint-Malo. The book alternates in narrative between Marie-Laure and Werner. And of course you know that eventually their stories will merge. The chapters also alternate between different time periods, mostly going back and forth between the beginning and the end of the war. The tension builds slowly but steadily as the occupation escalates. The novel is beautifully crafted and is full of rich detail. Doerr has an interesting descriptive style which sometimes seems overwritten but then suddenly drives forward again. The chapters are very short, creating the feeling of a brisk pace in the midst a fair amount of lyricism. 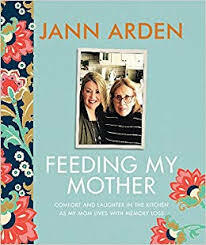 If it is possible for a book to be a “slow page-turner” then this is it; I felt conflicted–I wanted to slow down and enjoy the writing but at the same time I wanted to speed up to find out what was going to happen!! 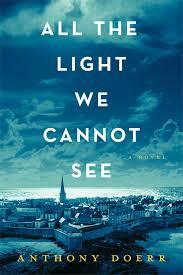 This entry was posted in Fiction, Four Star and tagged All The Light We Cannot See, Anthony Doerr, World War 2. Bookmark the permalink. Oh Joanne – I totally agree with your review now that I’ve finally read it. I thoroughly loved her writing style – so well crafted. Almost every sentence was a pleasure to read…almost. And I agree – there were times I wanted to relish in the paragraphs, but also wanted to skip ahead…. Thanks for this great review.